Ever wonder what a VR (virtual reality) video looks like before it becomes a VR video? 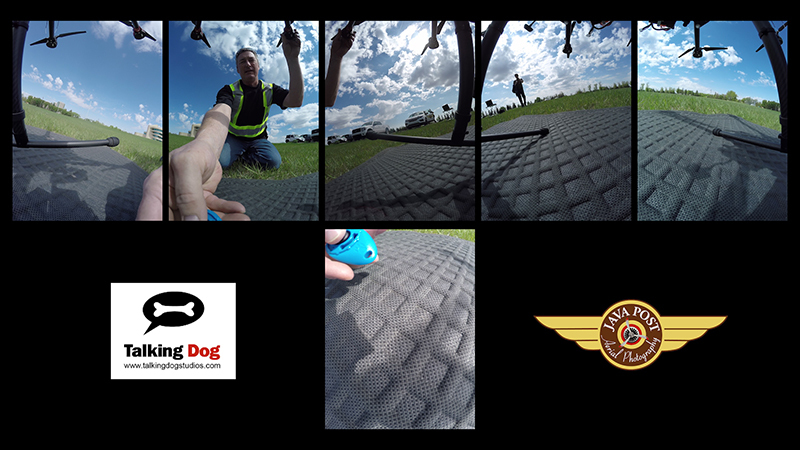 Java Post Aerial Photography has been shooting some aerial VR footage tests for our friends at Talking Dog Studios, who are experts in the virtual reality video field. 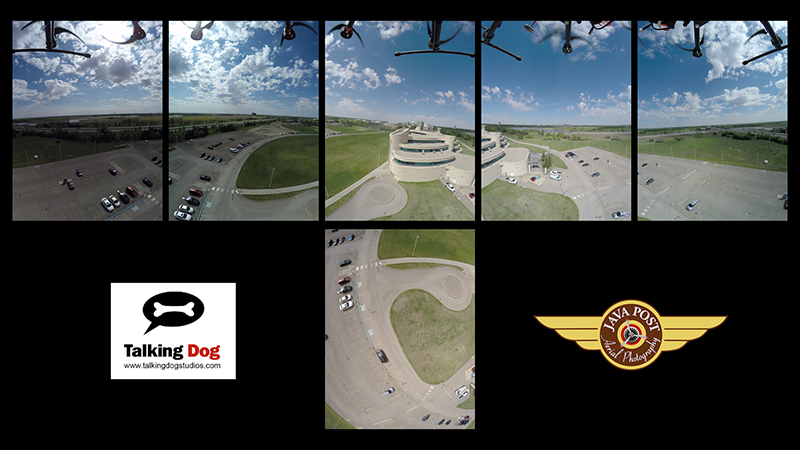 We replaced our usual UAV (drone) camera with a cluster of 6 GoPro cameras and flew them around the First Nations University of Canada building in Regina, Saskatchewan, Canada. We thought it might be fun to show you what those 6 camera views look like, before they are processed into a seamless virtual environment by Talking Dog Studios. To see other examples of the work done by Java Post Aerial Photography, CLICK HERE.